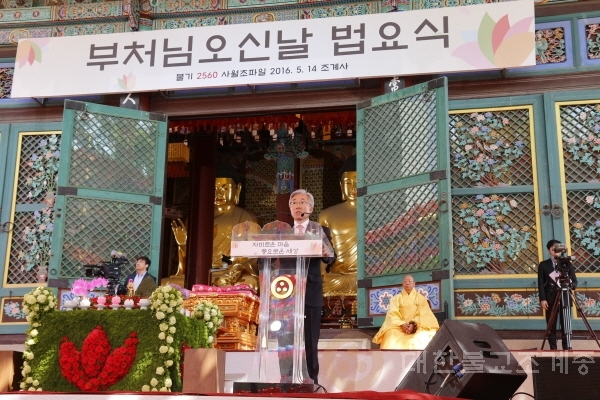 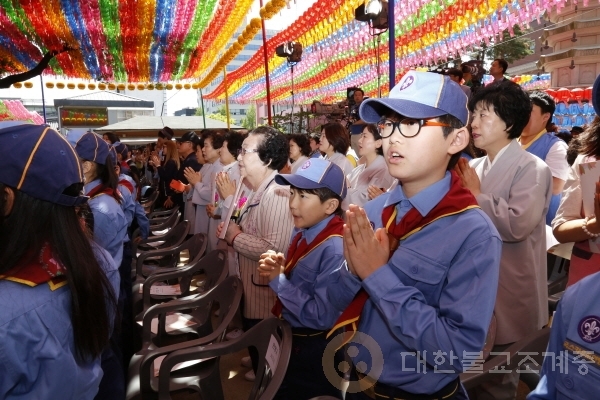 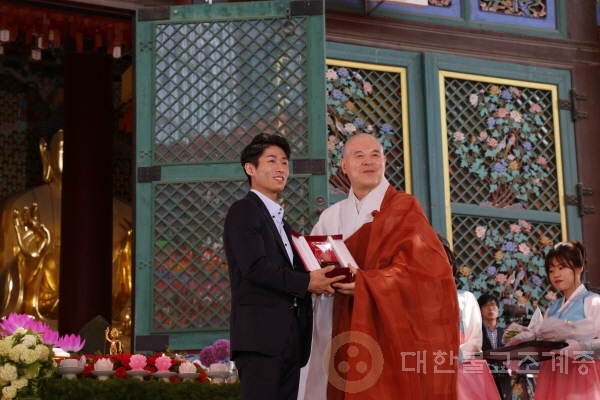 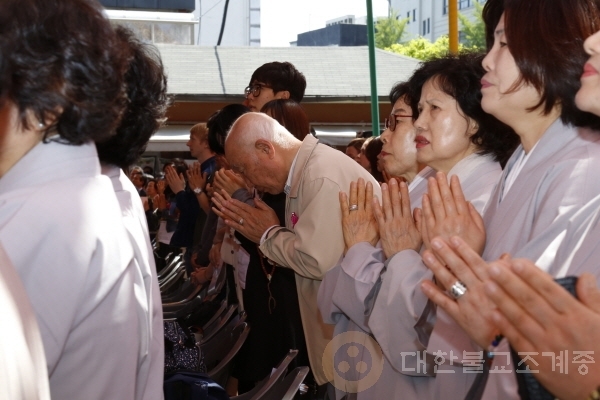 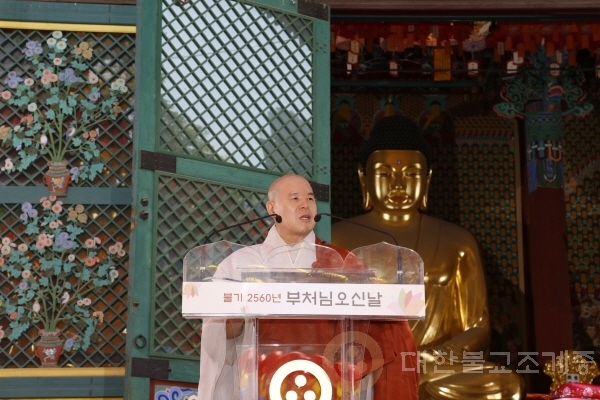 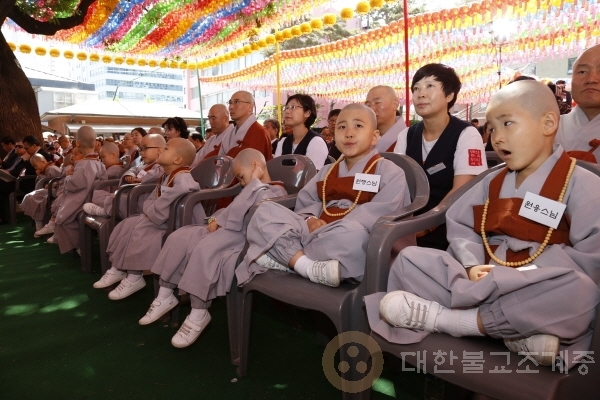 The Dharma Ceremony on the Buddha’s Birthday was held at Jogyesa Temple in Seoul at 10:00am, Saturday 14 May 2016. 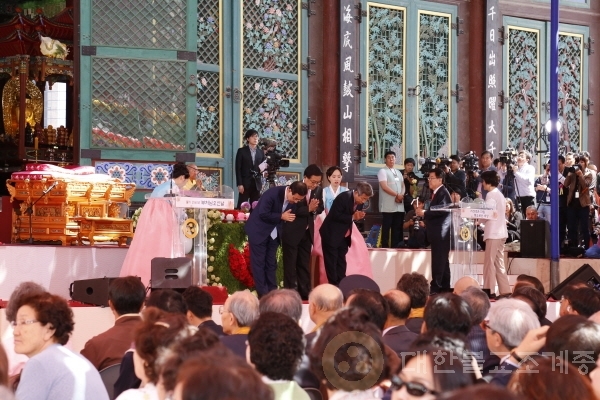 About 10,000 Buddhists were present in the ceremony, crowding the temple on this very special day. 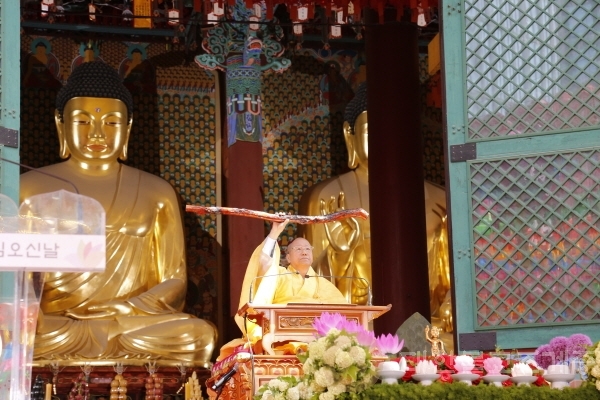 It started from temple purification ceremony and six offerings, striking Dharma drums and Dharma bell, and continued to bathing of the Buddha statue, Buddhist benediction, Buddhist hymns, light offering, incense offering, tea offering, flower offering, and prayer by the head monk of the temple. 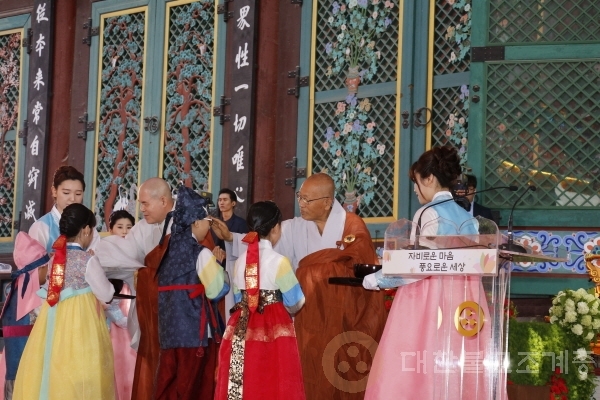 In addition, the laity who greatly contributed to the propagation of Buddhist teaching and the development of Buddhist orders was awarded on this occasion.